The Khaled bin Sultan Living Oceans Foundation has formed several education partnerships to bring the Coral Reef Ecology Curriculum to teachers and students around the world. Black Girls Dive Foundation is a Maryland non-profit organization that seeks to inspire and empower young girls and women to engage in aquatic-based STEM and recreation activities. Through their STREAMS program that integrates Science, Technology, Robotics, Engineering, the Arts and Mathematics with SCUBA and scientific diving, girls explore diverse marine ecosystems and learn about coral reef ecology and ocean science and how to become stewards of the environment. The Khaled bin Sultan Living Oceans Foundation collaborates with Black Girls Dive Foundation to ensure that girls have access to a breadth of innovative educational materials and activities from their Coral Reef Ecology Curriculum. The University of the West Indies Discovery Bay Marine Laboratory in Jamaica, engages in research, training, and outreach in Caribbean Marine Sciences using research and exploration to aid in the management of marine and coastal zone processes. As a part of their mission, they host school groups and work with community NGOs to strengthen awareness of coastal environment issues and interest students in careers in marine science. The Khaled bin Sultan Living Oceans Foundation and the Discovery Bay Marine Lab provide mangrove and coral reef education to students in Jamaica. Jointly, we implement a year-long, experiential education program called the Jamaica Awareness of Mangroves in Nature (J.A.M.I.N.) to educate high school students in Jamaica about the importance of their mangrove ecosystem. When education staff from Discovery Bay Marine Laboratory teach local Jamaican students and teachers about coral reefs as part of their Visiting Schools Program, they augment their program by using and disseminating materials from the Khaled bin Sultan Living Oceans Foundation’s Coral Reef Ecology Curriculum. EarthEcho International is a non-profit organization founded on the belief that youth have the power to change our planet. Established by siblings Philippe and Alexandra Cousteau in honor of their father Philippe Cousteau Sr., and grandfather legendary explorer Jacques Yves Cousteau, EarthEcho’s mission is to inspire young people worldwide to act now for a sustainable future. The Khaled bin Sultan Living Oceans Foundation has partnered with EarthEcho to provide teachers and students in our Mangrove Education and Restoration Programs with the opportunity to participate in the EarthEcho Water Challenge. Students in this program collect water quality data as part of their mangrove research and habitat restoration in the Caribbean. Students will now be able share water quality data with other students around the world through the EarthEcho Water Challenge international database. Together, we are helping these students feel empowered to tackle the global water crisis in their community and highlighting the work of young leaders to restore and protect their local marine environments. Mission Blue is a non-profit organization whose mission is to inspire action to explore and protect the ocean. They seek to protect at least 30% of the ocean by the year 2030. At the heart of this effort is a global campaign to ignite public support for the protection of Hope Spots—special places that are vital to the health of the ocean, the blue heart of our planet. Mission Blue and the Khaled bin Sultan Living Oceans Foundation have partnered on a campaign to increase public awareness of ocean issues using Khaled bin Sultan Living Oceans Foundation’s Coral Reef Ecology Curriculum through traditional and social media. and teacher education programs, the National Aquarium inspires people of all age groups to engage in ocean conservation. 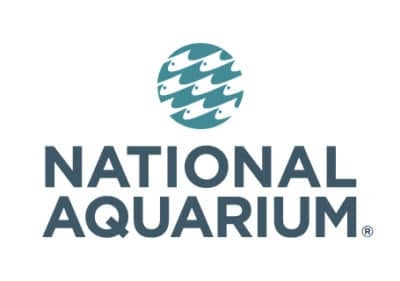 The Khaled bin Sultan Living Oceans Foundation works with the National Aquarium to provide credited professional development workshops to teachers in the greater Maryland area. Together, we are helping build teachers’ understanding of coral habitats in ocean science. During the workshop, we engage teachers in a set of classroom-ready activities from the Coral Reef Ecology Curriculum that are tied to the Next Generation Science Standards, Common Core State Standards, and Ocean Literacy Essential Principles. The Natural History Museum of Jamaica is one of the first divisions of the Institute of Jamaica which was established in Kingston in 1879. The Museum’s mission is to research, document, preserve, protect, and disseminate information on Jamaica’s natural history. The Natural History Museum also strives to educate visitors by providing interactive museum exhibits, conducting research, and delivering a variety of onsite and offsite education and outreach programs. The Khaled bin Sultan Living Oceans Foundation has provided the Natural History Museum of Jamaica with educational films about the natural environment and how Jamaicans interact with it. These films will be displayed throughout numerous museum exhibits, providing a more meaningful experience for guests who want to learn about Jamaica’s natural environment. The Ocean Doctor is a nonprofit organization founded in 2004 by Dr. David E. Guggenheim, dedicated to protecting and restoring our oceans through hands-on conservation. Ocean Doctor’s major projects include Cuba Conservancy, a comprehensive program of international collaboration for research and conservation in Cuba, and the 50-States Expedition, a journey to schools in all 50 States to deliver education programs to students about the oceans, while encouraging students towards careers in science. Together, the Ocean Doctor and the Khaled bin Sultan Living Oceans Foundation will implement the 50-States Expedition, providing education programs to schools around the United States in order to increase public awareness about the conservation of the ocean. Are you interested in becoming an education partner? If so, email our Education Director for more information. For a full list of our organizational partners, click here.